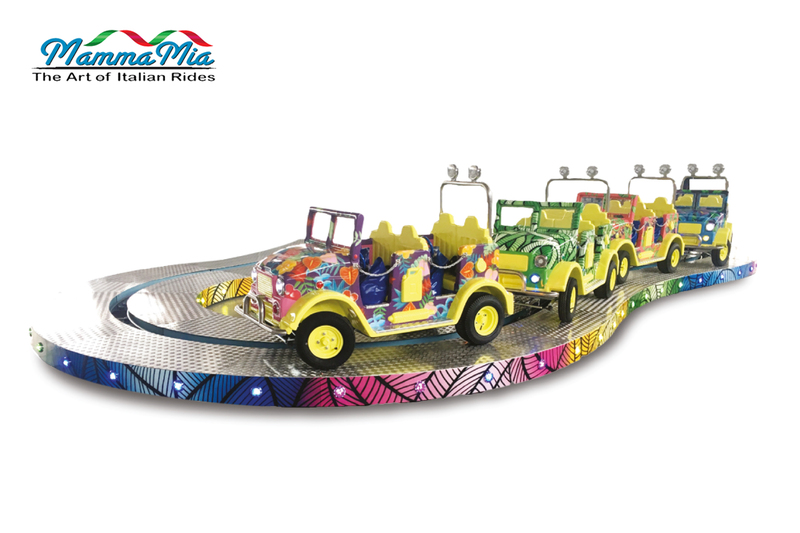 This Ride come standard with oval shape track, different shapes are available, outside track is painted and led lighted. Four big cars run on the track 4 seats each and adults can accommodate, total capacity 20 seats. control board. Cars are decorated and lighted according to client’s theme and are provided with lights and steering wheels. Ride complete and ready for operation.